The start of school is now upon us and it’s important for college juniors and seniors to represent themselves in the best light possible and gain some positive networking experiences well before they go off into the world of internships and careers. It’s essential for upperclassman to make sure they have built their online presence, especially on LinkedIn, long before graduation day. Students who don’t have a professional profile are less likely to get hired in a timely manner and more likely to have trouble paying back those hefty student loans. There are a few great ways students can update their online profile in just a few minutes. It’s easy for a student to forget about everything they did throughout the year, however, because students don’t have multiple years of work experience in their field it’s important to include everything that might make them stand out to an employer. For example, if they joined the multicultural club it might look good to an employer who has offices abroad. Additionally, a student who successfully passed a foreign language exam to prove conversational or fluency skills should advertise this to possible employers. Students should also include activities or accomplishments outside their major. Many companies want to hire a well rounded individual who can grow with the company as they expand or change. If an engineering major received a fine arts award, they should definitely put this on their LinkedIn profile. Many students simply put up their expected graduation date, their university, and their major field of study. Although this is useful basic information, it doesn’t offer potential employers enough to want to hire a specific person. Because LinkedIn is slowly replacing the paper resume, it’s important for students to remember that, whether online or on paper, their professional profile needs to be unique. An employer doesn’t want to think of somebody who simply comes to work, does the minimum, and goes home and a minimal LinkedIn or other professional profile will certainly suggest this. If an economics major cares about animal welfare and human rights, for example, they may stand out to a firm that values humanistic ethics. This particular graduate may end up doing the finances and grant proposals for a well respected nonprofit. Recommendations from supervisors are especially helpful. However, students who have not yet completed an internship or who don’t have a full-time job can still benefit from references from colleagues. At this point, colleagues can be defined as students who are in good academic standing or somebody who a student worked with last summer at a coffee shop, for example. Even if the part-time job or volunteer experience has nothing to do with the student’s major, they can still benefit from a brief recommendation stating their promptness and good work ethic. 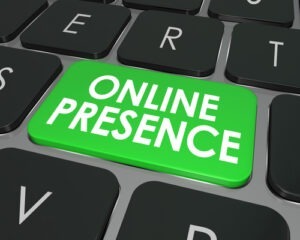 Many students still forget to include volunteer experience on their online professional profile. However, volunteer experience is one of the most important things employers look at when they want a well-rounded individual. Volunteer experience demonstrates that a person wants to contribute to their community. Remember, once a student is a full-time employee, they’ll be contributing to the community of their office. LinkedIn has a space for people to up vote a person’s skill sets. This is a great option for people who don’t know a student well enough to write a reference or who have only worked with them in a limited capacity. For instance, if a soon-to-be graduate finds out that the majority of employers in their field really want to hire somebody who has excellent public speaking skills, their profile will look much better if they have 12 up votes than if they have only 1. Many students forget about wiping their personal social media profiles, thinking that companies will only search for their LinkedIn profile. This, of course, is not the case. Even seasoned professionals will find out, after the fact, that someone was desperately trying to find them on Facebook. It’s important for upperclassman and new grads to realize that what they display on personal social media can be very damaging if it’s different from what is displayed on LinkedIn. It’s important to make sure the profile picture is conservative and that any venting sessions cease to exist long before the beginning of a job search. Robyn Scott is a private tutor with TutorNerds LLC. She has a BA from the University of California, Irvine and a MA from the University of Southampton, UK.